A mere two days after the biggest snowstorm of the winter in Toronto, a horde of loyal York 9 season seat holders and other curious soccer fans braved the conditions to fill the upstairs lounge of the Shoeless Joe’s in Woodbridge Ontario on Wednesday evening, eager to hear a “Major Announcement”. Fans could mingle with coaches, players and other staff for about 45 minutes before CanPL.ca’s Managing Editor Kurt Larson took the stage (or in this case; a booth at the back of the room) and introduced the CPL. York 9 played a few hype videos on the flat screens lining the walls and Kurt passed the mic to York 9 manager Jim Brennan, who was excited to address the crowd, detailing the dreams and objectives of York 9. Brennan talked about the privilege of building a club from scratch, without the stresses of inheriting another manager’s squad, and about being able to bring in players the coaching staff can trust. Players who can play the system they expect and excel. One of the goals York 9 have set is to one day field a team entirely composed of players born in the York region. With that, Brennan introduced the players one by one, including a few who hadn’t been officially announced yet (but were confirmed on Friday afternoon – including former Whitecaps academy player Munir Saleh pictured below). 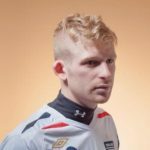 Once all the players had their introductions the mic was again passed, this time to the President of York Sports & Entertainment Preben Ganzhorn, who went into a speech about the value of setting unrealistic goals. Without setting lofty goals, he stated, York 9 would not have come to be in the first place. Ganzhorn was able to get to the announcement the crowd had been waiting for. After announcing a partnership with transportation company TOK Group, it was announced that all York 9 Season ticket holders were invited on a road trip to the inaugural match in Hamilton, Ontario on April 27th. 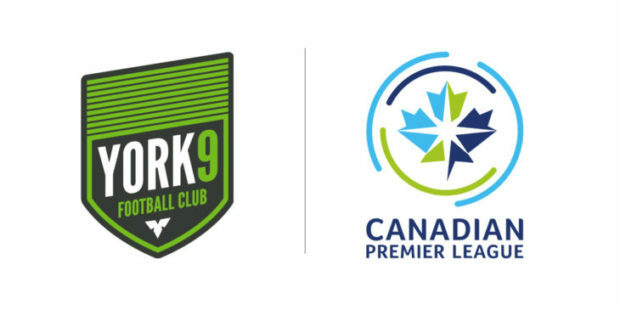 York 9 has been allocated an entire section at Tim Horton’s field in Hamilton for the opening match of the CPL season, and York intends to fill it with its supporters. With the ride to Hamilton taken care of, and a free ticket to the match, it would be a fantastic look for the league to have a large Green away section amongst the Orange and Black of the Forge FC fans. The mood was good in room, with the players sounding quite excited to get going as they spoke with the fans. I managed to speak with several players including Cyrus Rollocks, Joseph Di Chiara, and Roger Thompson who all expressed a strong desire to bring a Championship to York in the inaugural season. Di Chiara and Thompson both see themselves as being integral to York’s leadership core considering their age and European experience, with Di Chiara expressing that anything less than a championship would be a failure. Rollocks on the other hand set a few lofty goals for himself, including a desire to win the rookie of the year award and to be at the top of the scoring race by seasons end. Brimming with confidence the youngster was chomping at the bit to get the season underway. Discussion with Brennan also led to a few tidbits about the next few months. He expects training camp to be officially underway by March 1st, giving the team just under two months to prepare for the opening game. Fans can expect incoming Japanese signing Murofushi to slot into a CAM position, with Brennan describing him as a creative player who can get into dangerous spaces in the attacking third. Fans can also expect a few more signings in the next week or so.